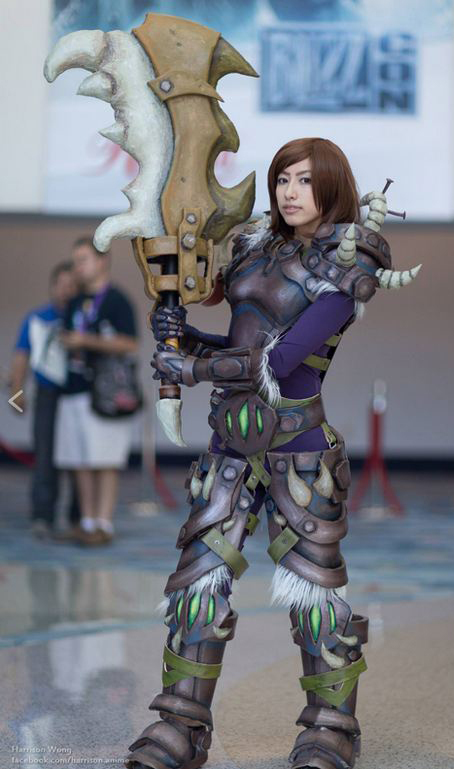 Tiff shared her Warrior build with us. My wig is from Epic Cosplay. The body suit was originally white and purchased on Amazon. I mixed black and purple RIT Dye to give it that dark purple color. 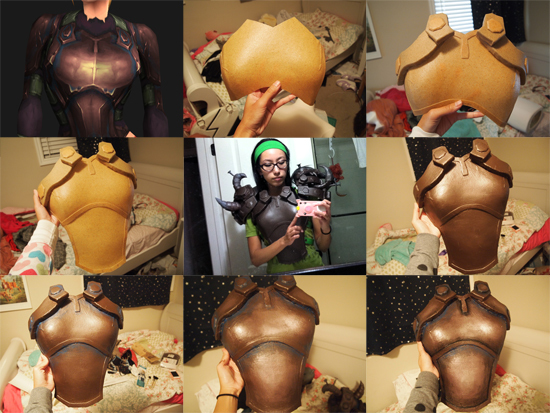 Chestpiece: It’s made out of worbla. I used a dressform to help shape the armor. 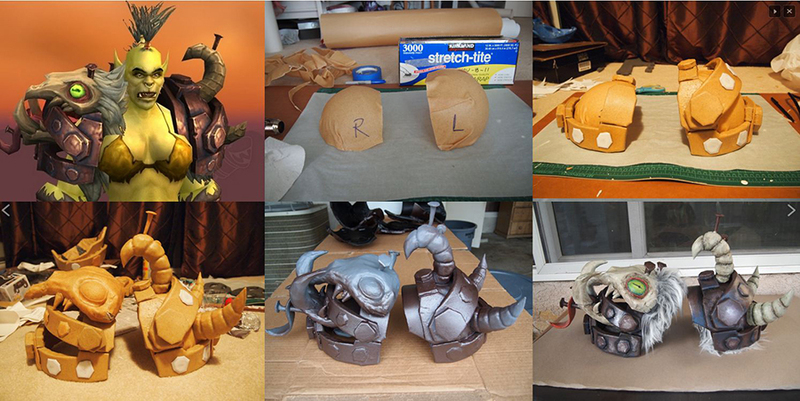 The thicker looking borders at the top are made out of EVA foam and covered with worbla. I used spray paint as my base and used a mixture of acrylic and metallic paint to get the shiny details. Pauldrons: Again, EVA foam and Worbla were used for this piece, as well as craft foam, expanding foam and floral foam. 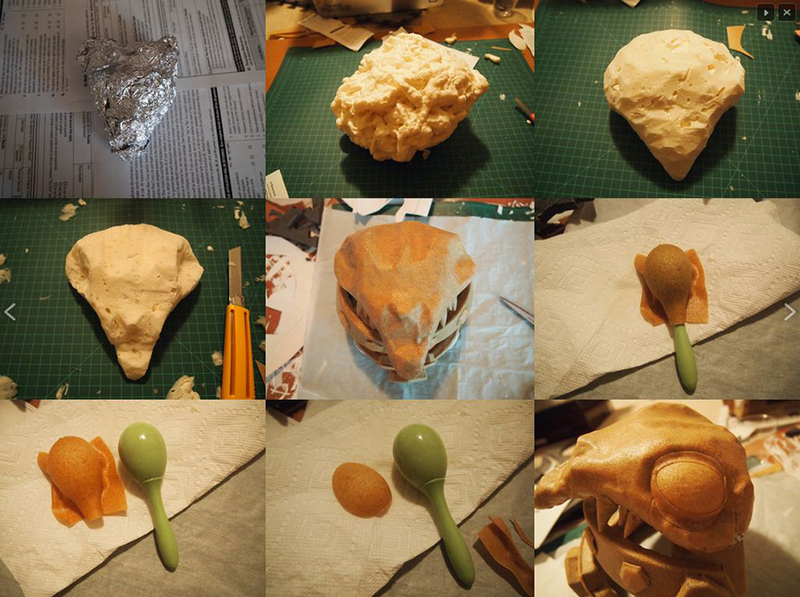 The skull was made out of expanding foam, carved and covered with paper mache and then with worbla. The eyes were shaped with my little nephew’s baby maracas (lol). 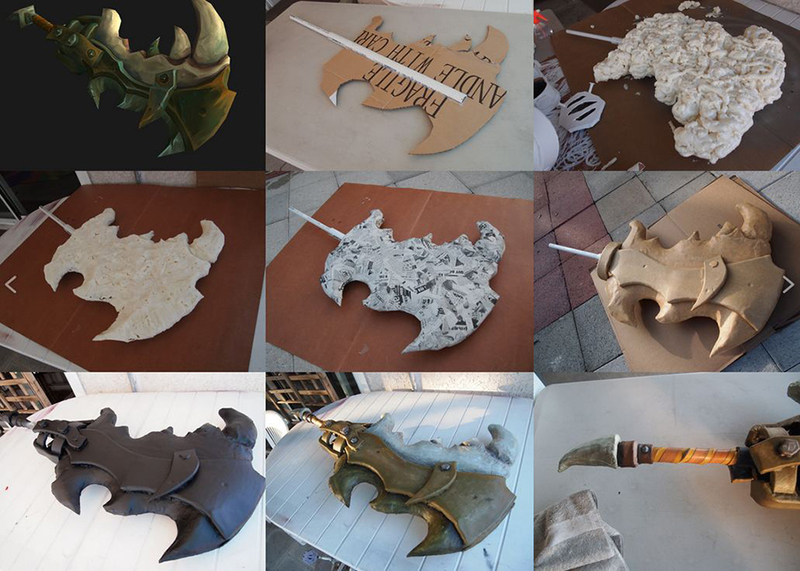 The horns were carved from floral foam and then it was covered with worbla. Boots: I used one of my regular shoes as a pattern for the boots. After it had been traced, cut and heated with Worbla, I glued a matching piece of EVA foam on the insides so that it would give it its bulkiness. 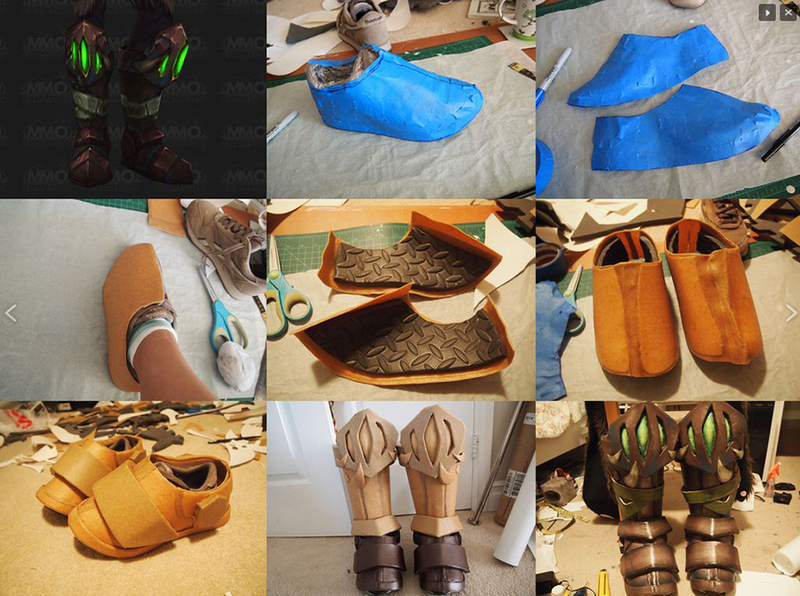 The boots were made a bit sloppily but at least I was able to cover the majority of my mistakes with belt straps, little knobs, etc. 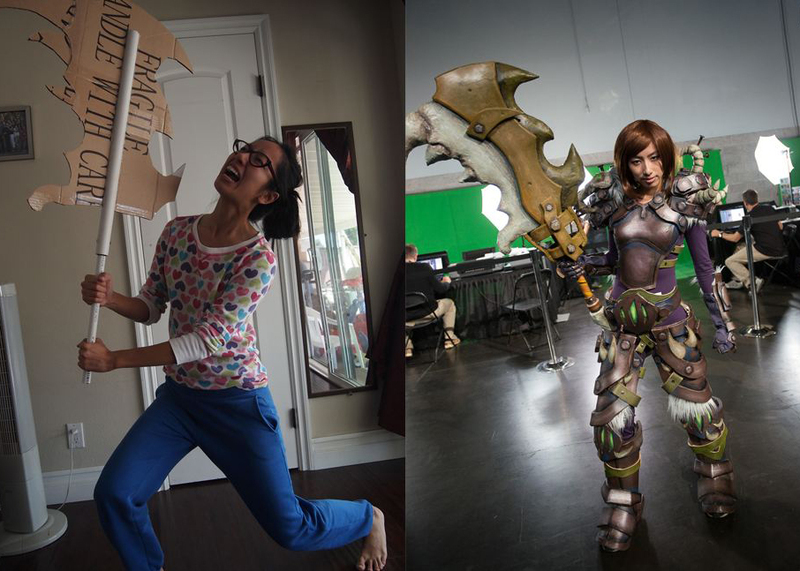 Sword: I bought two PVC pipes and glued a rough cardboard pattern as the base of my weapon. 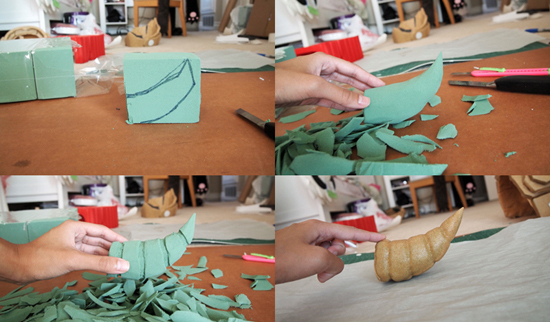 I covered it with expanding foam and carved it to the shape I wanted (thanks to Kamui Cosplay’s tutorials!). I then covered with paper mache to make it stronger and to fill in the annoying craters, followed by Worbla to make it indestructible to uh…accidentally bumping into things with it.